Jamie attends majority of horse sales throughout the year and you are more than welcome to join him. The stable has made some very exciting purchases in 2019 that we would love you to be part of. Please contact us ASAP if you would like to be a part of the exciting racing action and are looking to purchase a yearling or a share in a horse. We would love to hear from you. Jamie has an eye for young talent and always visit the major sales throughout this coming year so please contact us if you're planning on attending. We look forward to hearing from you - it's a wonderful experience to be part of the incredible atmosphere of the horse sales. He is available to discuss up and coming sales and more than happy to advise owners when considering purchasing, based on his experience and knowledge in breeding. Tavistock / Diamond Schwarz (2YO Filly). Please contact me at edwards.racing@bigpond.com if you would like any further information. Bought at the recent Adelaide sales, we were always keen to secure this yearling filly, being a daughter of champion European galloper DREAM AHEAD who shared top rating with FRANKEL as a 2yo. Please contact Janet. Email: edwards.racing@bigpond.com or 0417 271419 if you are interested in securing a share. 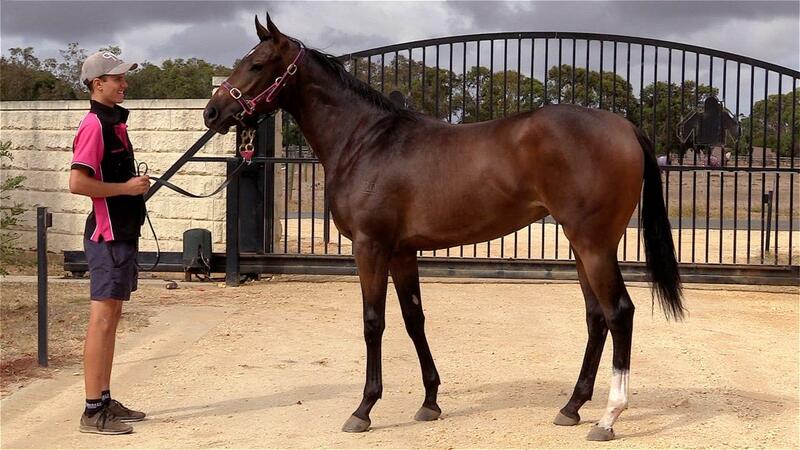 Be quick as shares are selling quickly in this very affordable colt. This filly is currently being broken in and her half-sister AL PACINO is a 3-time winner and Gr2 placed in New Zealand's Wakfield Challenge Stakes.